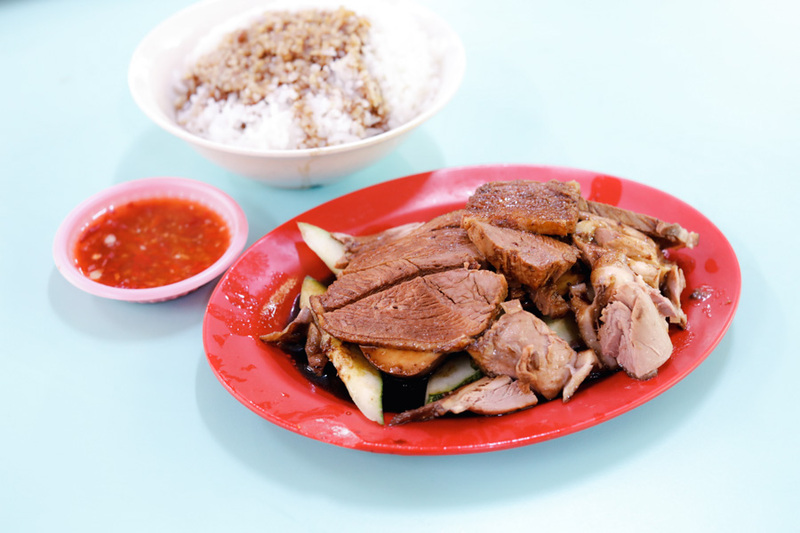 Braised duck rice is not on my radar, but the relatively long queue for Ah Heng Duck Rice 同济前阿兴鸭饭 at Hong Lim Food Centre got me curious enough. 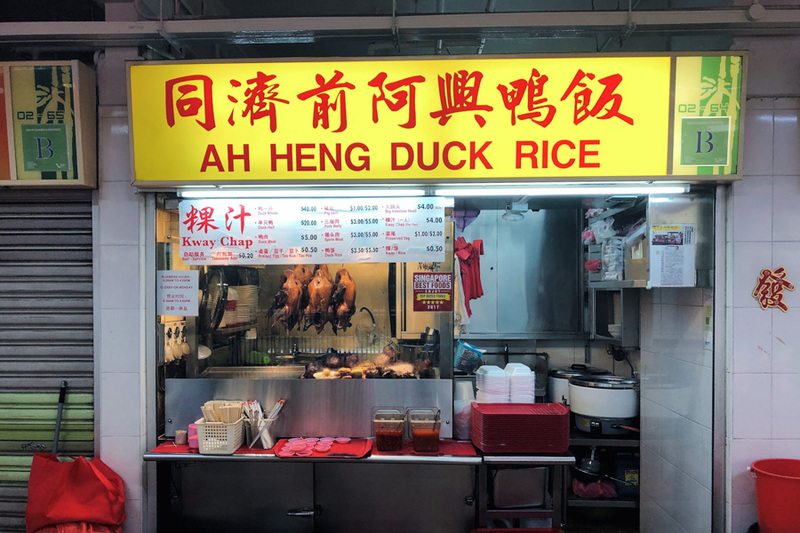 Word has it that the hawker behind Ah Heng used to be the owner of Heng Gi Goose & Duck Rice in Tekka Market, therefore there are quite similar-tasting. 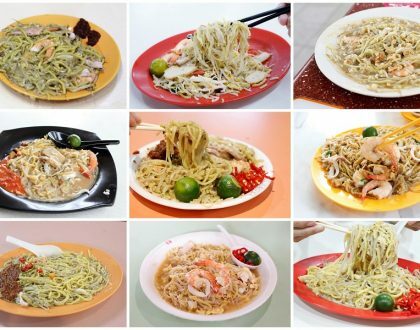 Both stalls are recommended under the “Michelin Plate” in the Singapore Michelin Guide by the way. 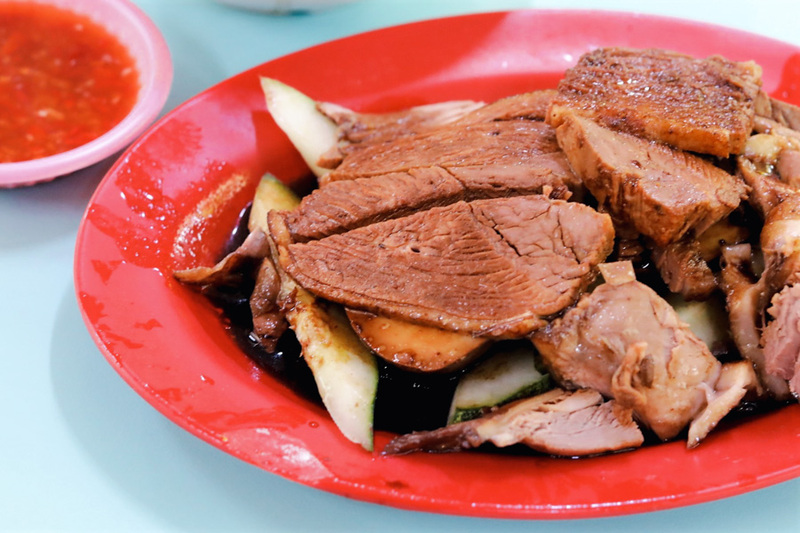 Ah Heng is best known for its traditional Teochew-style braised duck, not overly marinated nor too herbal. 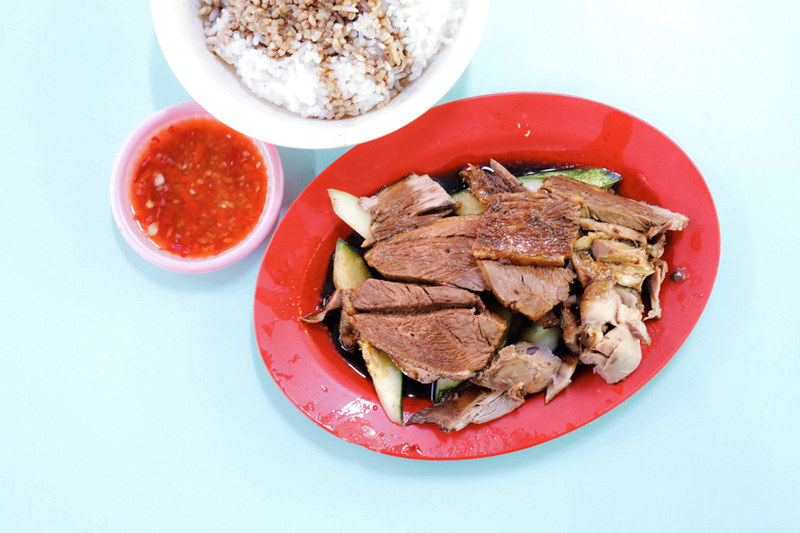 You can order the duck as a whole or half ($40, $4) or with rice ($5.50). 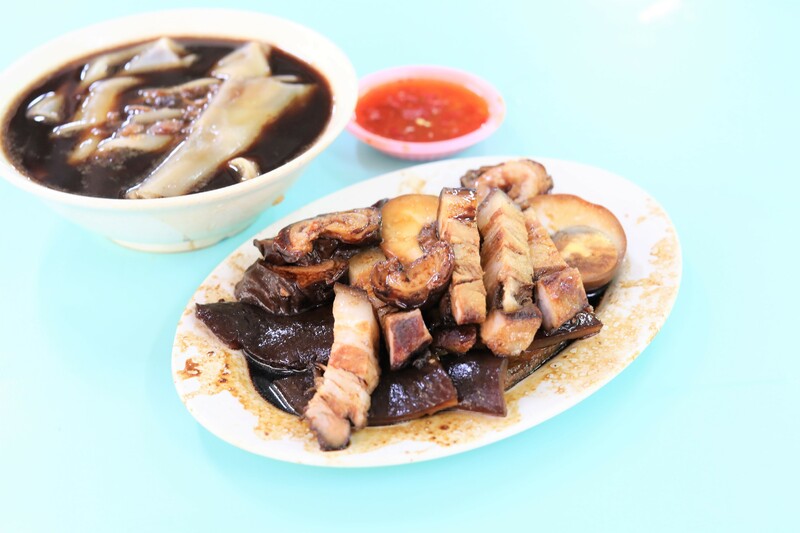 A number of other accompaniments can also be added, such as braised egg, tau kua, tau pok, pig skin, pork belly, big intestines, and preserved vegetables ($0.50 to $4). 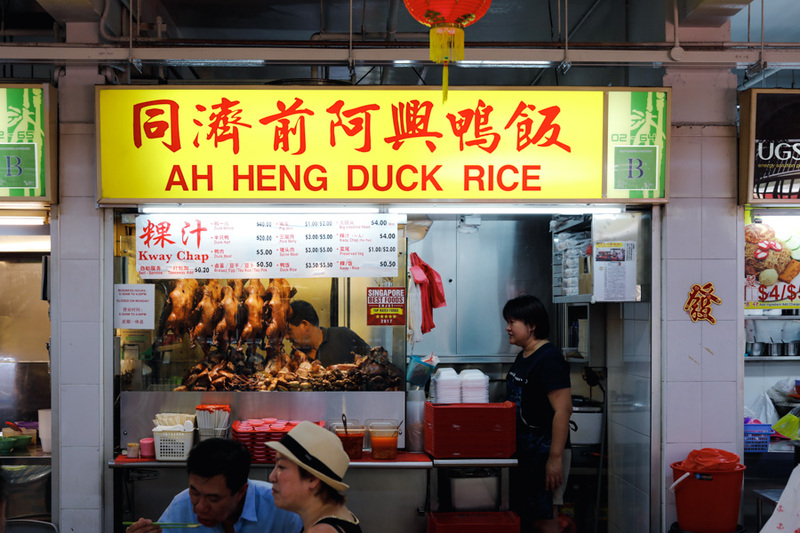 Unlike other duck-centric stalls serving duck rice with braised rice, Ah Heng serves plain steamed white rice drizzled with their tasty black sauce. Served chopped and bone-in, the duck meat was leaner and dryer than what I had expected, but still moderately tender. 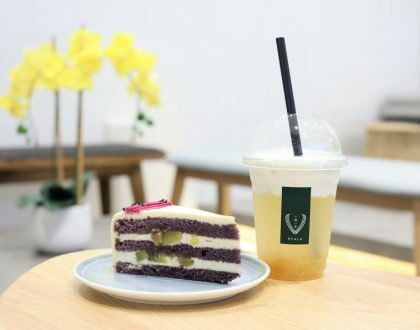 It has a signature old-school taste, quite unlike the modern versions found in most hawker centres and food courts. 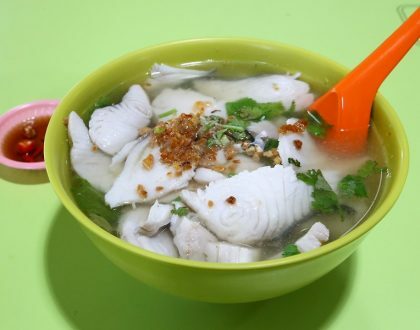 The lor is on the saltier side, so it works well by having it with plain rice. 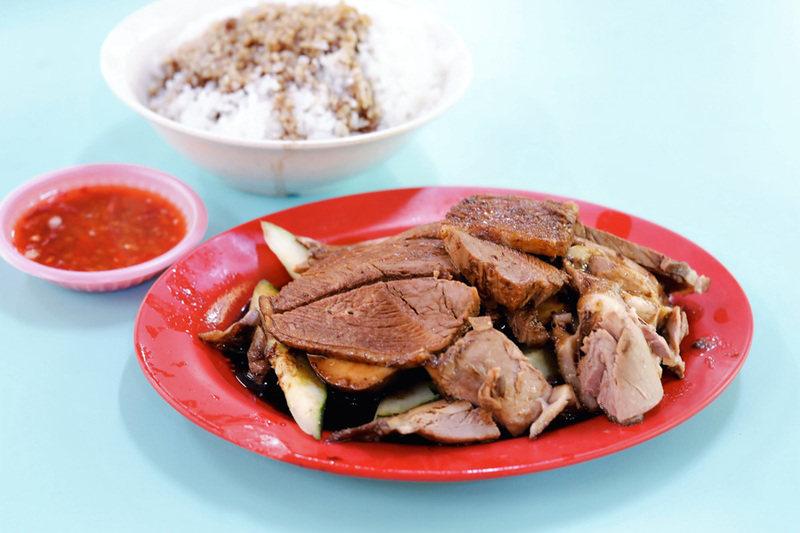 The duck-rice combo is accompanied with a small serving of chilli sauce, a watery type with a strong vinegary taste that pairs well with the duck meat. 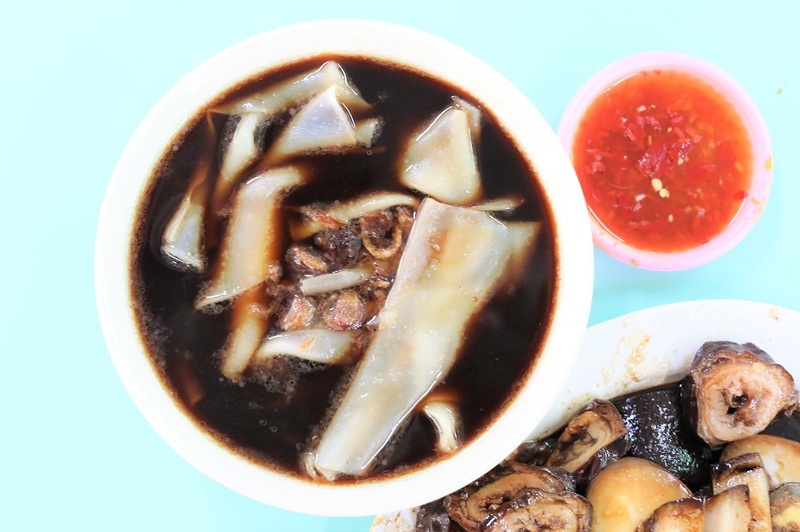 Ah Heng also sells Kway Chap ($4 for one pax) with pig intestines. 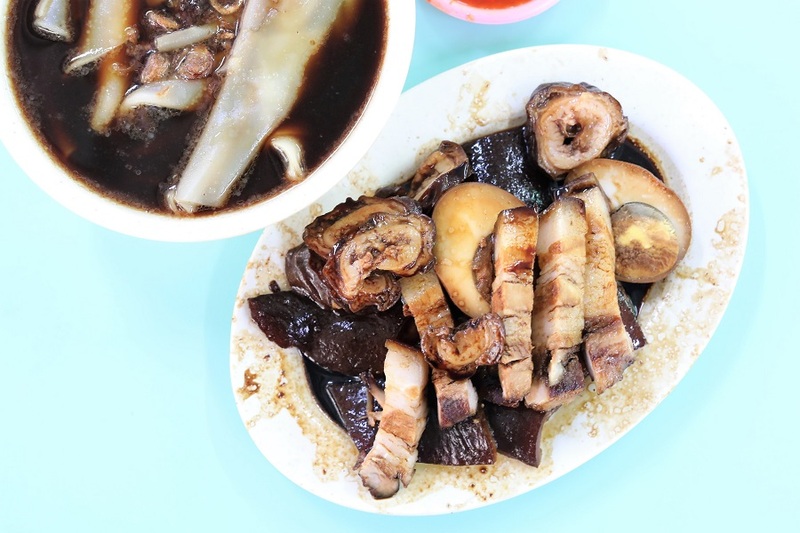 The “kway” – the broad, flat rice sheets were smooth though nothing to shout about, in a bowl full of the dark soy sauce gravy “chap”. 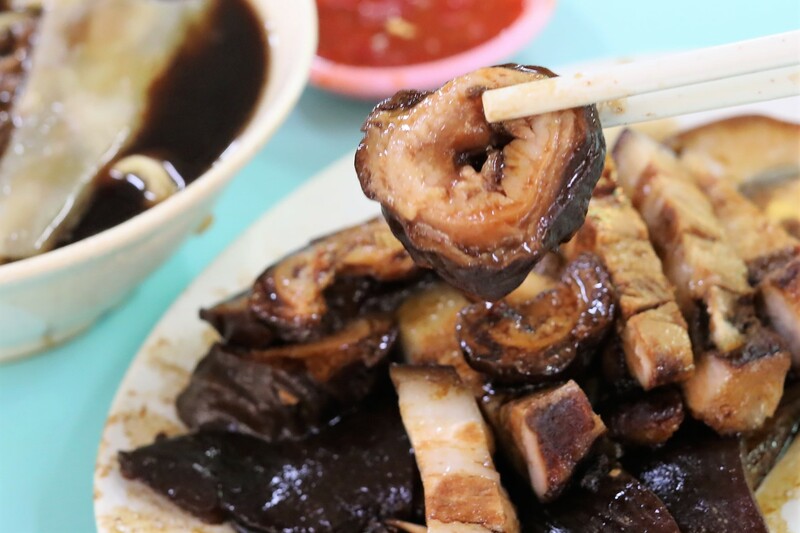 What’s the draw was all its ingredient, from the greasy pork belly, soft and tender intestines without a strong smell, and the braised egg, all drenched in this dark sauce. I worried a little about my cholesterol levels, but the soft pig skin was totally appealing. The stall closes as soon as the whole braised ducks are sold out.